Summer, I declare my love for you! Your food is delicious and days are filled with joy. I am thankful every day (almost). 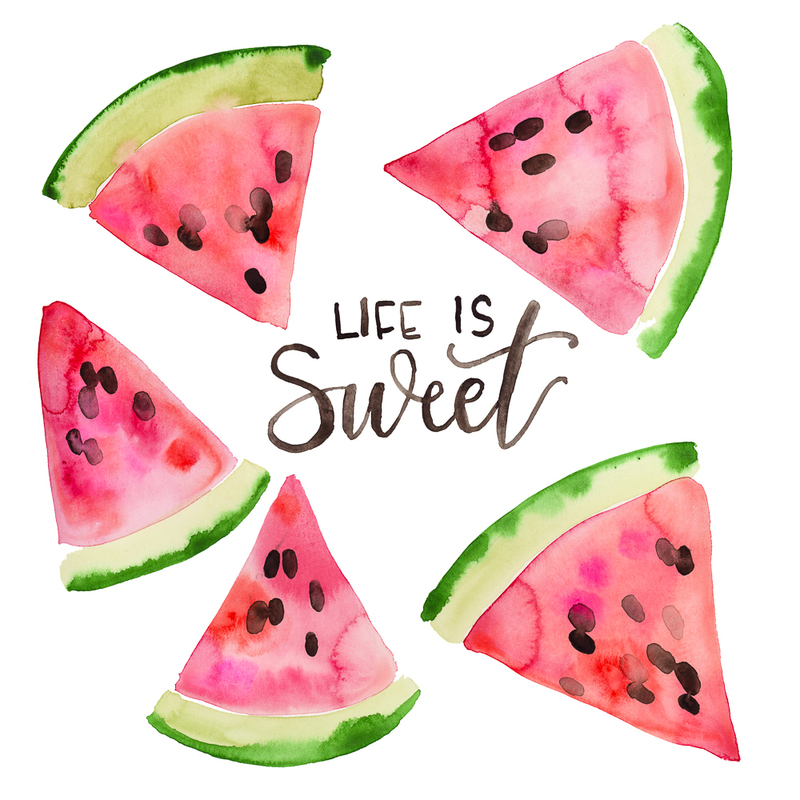 This Life is Sweet Watermelon Printable is free to download, and sets the mood for an AMAZING summer vignette. 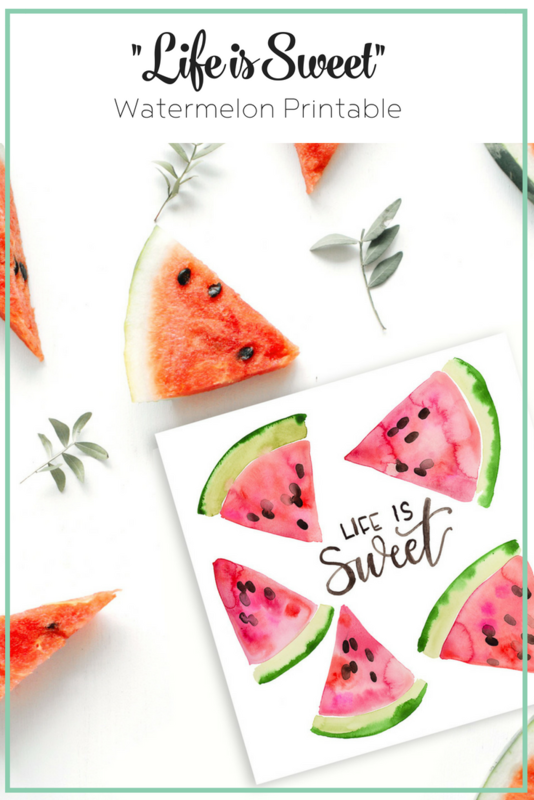 We love these pretty watermelon slices, framed set next to a bouquet of flowers. We all need a reminder to stop and enjoy once and a while, and this one of kind print does not disappoint. Each month we bring you a fresh printable. 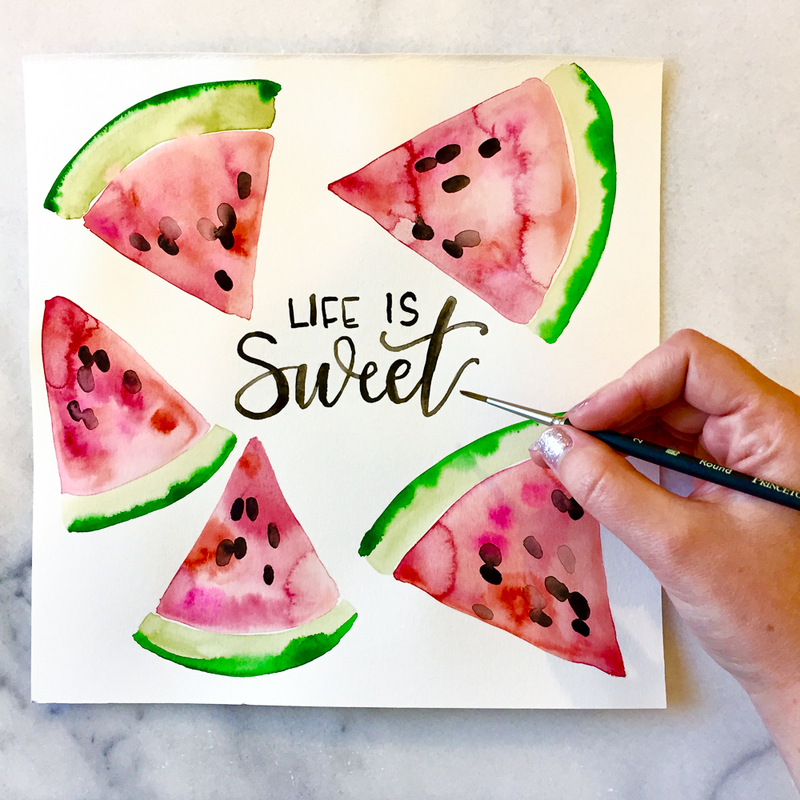 This adorable Life is Sweet design was painted by Courtney Bray. Her talents are endless, and they inspire! Subscribe to get the new print every month! 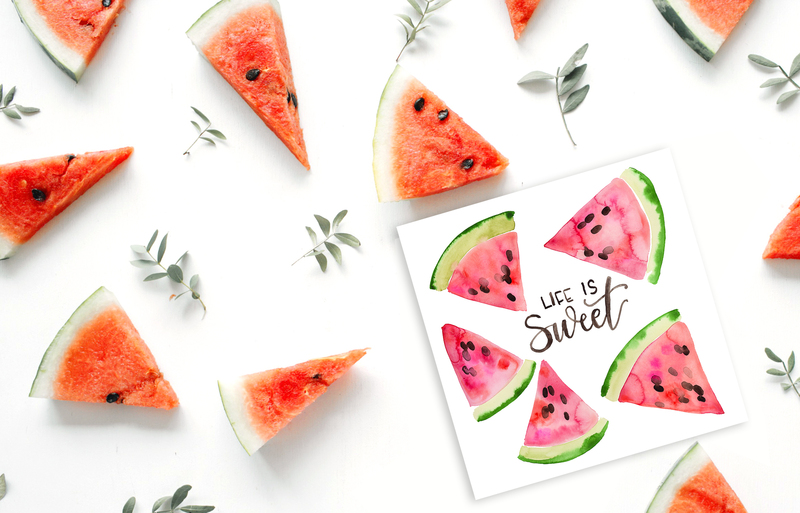 Did you know the first recorded watermelon harvest occurred nearly 5,000 years ago in Egypt? So odd to think of Egyptians eating it. Watercmelon is also 92% water. 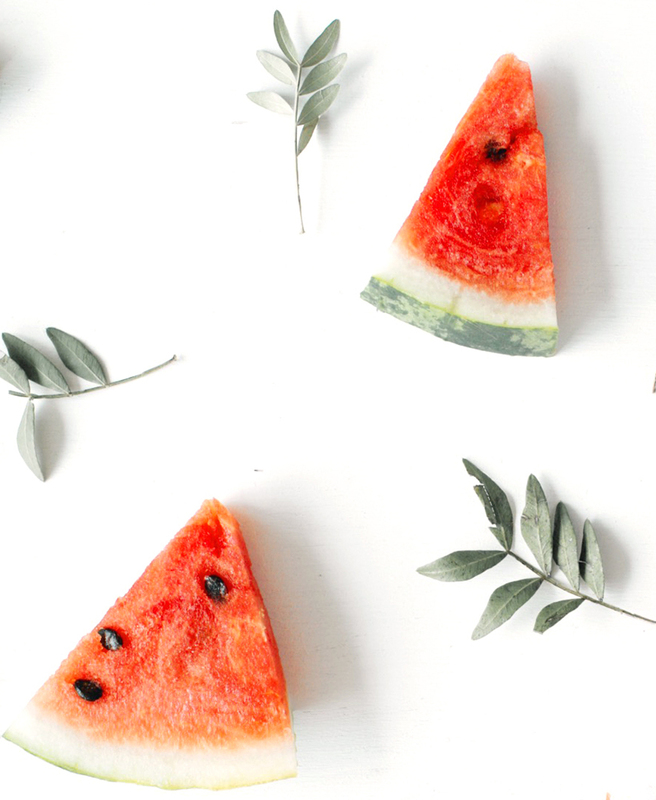 Recently, my close friend made watermelon Al Fresca for a dinner party that included kids. She blended fresh watermelon with some ice. Added a touch of sugar and some water to taste. It was a huge hit with the crowd. Also we love when bloggers share our prints. However, if you do you must link back to this page, and not directly the print file. • Click the link below. Wait fully for download. • Print it at the size you would like. Cardstock paper is recommended. If you want to buy the ORIGINAL, I highly suggest it. Our readers have loved purchasing the original and they go fast!